AQUA at Pelican Isle announced sales at the boutique marina front high-rise condominium community have reached 80 percent with only seven luxury residences, including a penthouse, available for sale. “With its private rooftop lounge, indoor and outdoor kitchens and private screening and game rooms, the all-new AQUA at Pelican Isle is synonymous with gracious living,” said Darline Hillard, director of sales at AQUA. “From its plentiful amenities, to the impeccably appointed residences, AQUA at Pelican Isle presents a lifestyle that’s spontaneous and richly satisfying,” she adds. The recently completed AQUA Tower II features three levels of penthouses sited adjacent to the Pelican Isle Yacht Club at Wiggins Pass in North Naples. The remaining unfurnished AQUA custom residences are on the third and fourth floors of the building, priced starting at $1.995 million to over $2.545 million. These floor plans range between 3,900 to just under 4,200 square feet with three or four bedrooms, 3.5 baths and either a living/family room or living/family room plus den. 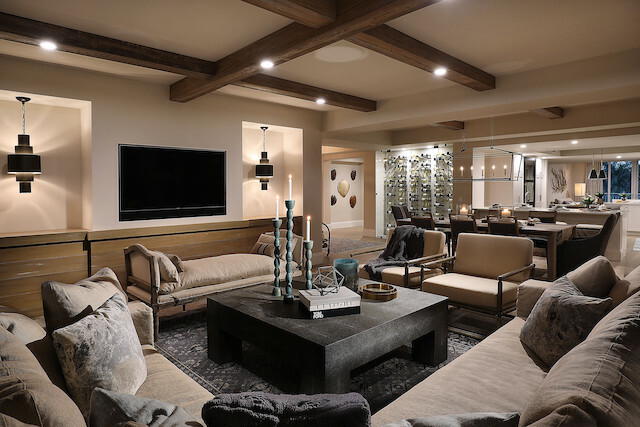 Major design features include high ceilings, gourmet kitchens with Wolf gas cook tops, Sub-Zero refrigeration and wine coolers, natural lighted back-to-front living areas, spacious master bedroom suites, master bathrooms with generous closet space, sunrise and sunset terraces, and more. One penthouse suite is available offering more than 6,500 square feet of living area, priced at $4.895 million. The penthouse features four bedrooms, 4.5 baths, a grand salon, family room (or den or fifth bedroom), dining room, master study with wet bar and more than 3,300 square feet outdoor living area from a grand sunset terrace with a sundeck, wet bar and gas grill spanning across the entire west side of the residence overlooking the Gulf of Mexico and mangrove lined estuaries of Wiggins Bay plus a private sunrise balcony adjacent to the family room and three guest suites. Enhancing the AQUA experience are exceptional conveniences including 24-hour security, a movie theater, a library, resort-style pool and spas, fitness center with his and her steam rooms and dry sauna facilities, sky lounge with rooftop terrace and more. Additionally, AQUA residences enjoy amenities that include an outdoor putting green, outdoor dog run, fire pit, a game room with billiards, bar, TV, fireplace and high definition interactive virtual golf simulator, three guest suites, plus the Club AQUA social room with large curved screened TV and entertainment area with wet bar, fireplace, coffee bar and catering kitchen overlooking the waterfront and 29-slip marina. Contracts for AQUA Tower II are ongoing, with Naples-based PACT Realty serving as the exclusive listing agent. The AQUA information center and three furnished models by interior designers Antonacci Design, Renee Gaddis Interior Design and Beasley & Henley Interior Design, ranging from 3,940 to 4,171 square feet, priced between $2.445 million and $2.545 million, reflect the modern architectural style of the high-rise and showcases several features of AQUA’s sophisticated and refined design. The information center is at 13675 Vanderbilt Drive, at Wiggins Pass Road. Enjoy a tour of our latest model at Aqua. Steps away from the water, and a drive away from the luxuries of downtown, Mercato, and Waterside Shops offering a plethora of dining, entertainment and shopping, AQUA provides a lifestyle of sophisticated beauty. Here, layered views of the Bay and Gulf greet you at all times. There are luxurious amenities at every turn. It’s quiet, away from the crowds. It’s the space needed for life to take shape. It’s your individual piece the horizon to use as you please. For general inquires or to view the Renée Gaddis Interiors model in person visit or call. 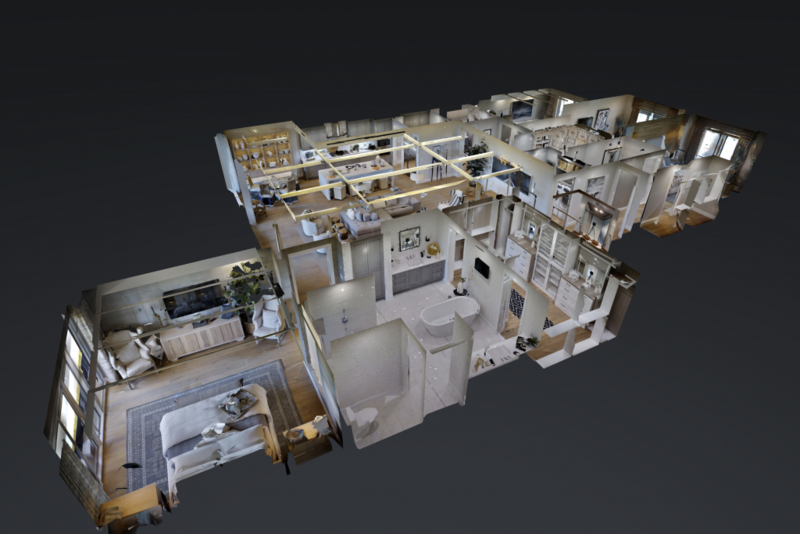 View our latest model at Kalea Bay in 3D! View our modern coastal design of a private condominium residence located at Bay Colony in the enclave of Pelican Bay, Naples. Each residence at Kalea Bay, with approximately 3,200 square feet under air, features flow-through, open floor plans perfect for today’s more casual lifestyle. Residences are fully finished with impeccably detailed interiors by our firm. Call us today to design your Florida retreat and start living! Future residents of the 120-unit Seaglass high-rise tower at Bonita Bay continue to be impressed by the caliber and range of the Renée Gaddis Interiors standard and custom finish selections the award-winning Ronto Group is making available to homebuyers. 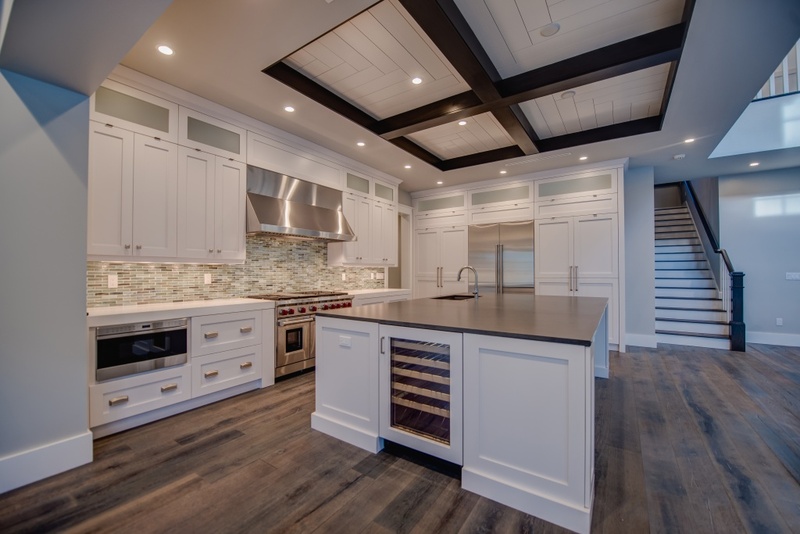 Numerous buyers have taken advantage of Ronto’s innovative Finishing Touches Program created by our firm that allows future residents to select finishes for their home’s flooring, cabinetry, countertops, door hardware, plumbing fixtures, and paint colors. The level of customization and flexibility available through the Program is extremely rare. 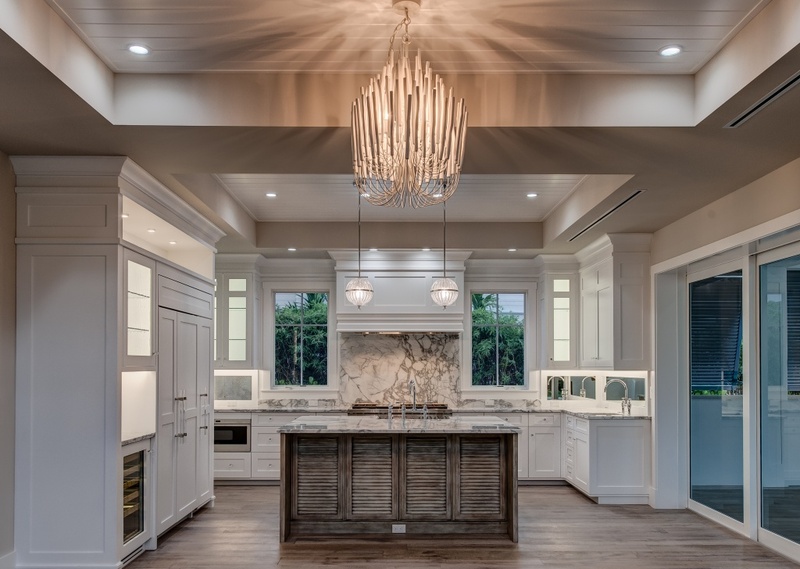 The quality and variety of the kitchen and bath cabinetry choices provide an indication of the extent to which Ronto is ensuring each residence is finished to each owner’s specific tastes. Have you visited Kalea Bay? Each residence, with approximately 3,200 square feet under air, features flow-through, open floor plans perfect for today’s more casual lifestyle. Residences are fully finished and our firm can assist you with your interior detailing and furnishings. We’ve been creating amazing culinary spaces for discriminating clients for nearly two decades. Here are 3 important areas to invest money when designing your dream kitchen. 1. Custom Cabinets: This allows you to have a unique style the is individually you. Its also one of the main focal points in your home and where people spend the most time. 2. Bold Countertops: We love to design fun and interesting surfaces on countertops. This makes a huge statement when people enter your home for the first time. We love using new materials and like poured concrete, reclaimed wood and pewter. 3. Hardware: Hardware is an often-overlooked accessory that can completely change a kitchen. Treat it like its jewelry and have fun with it.